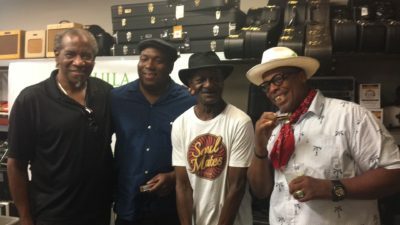 A random stop into an Austin guitar store yields brilliant lessons from masters of the blues on how to your find your voice. 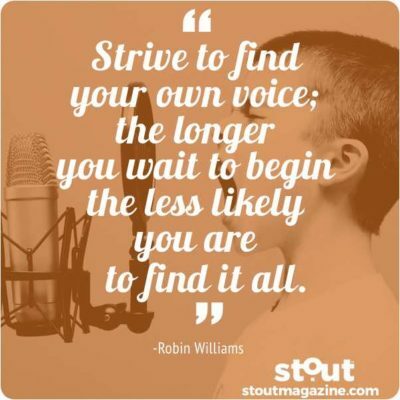 Stout Magazine has a plan to help you find and embrace the voice that is authentically, completely your own. 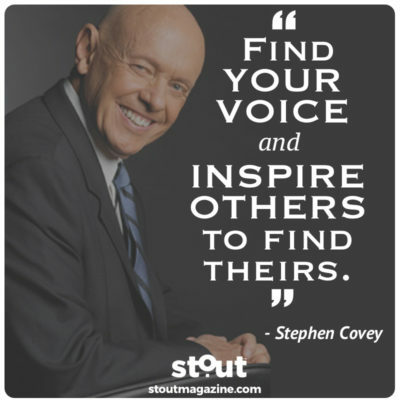 Stephen Covey maintains the crucial challenge of our world today is this: to find our voice and inspire others to find theirs. 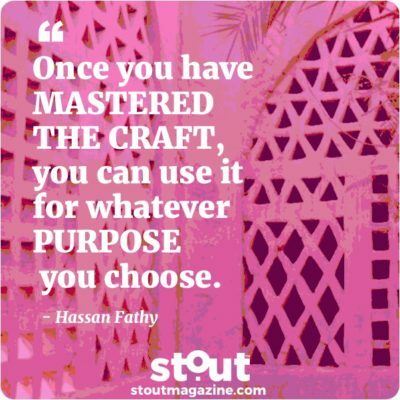 Find inspiration in Hassan Fathy’s innovative blend of past and pioneering then use our Stout Action Plan to craft a foundation for YOUR success. 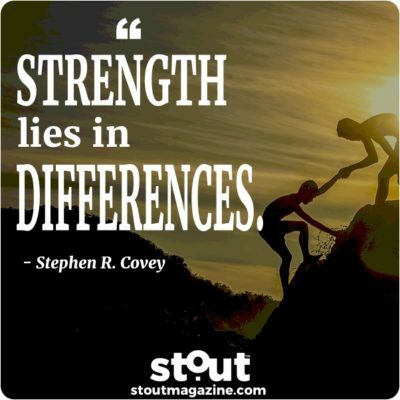 Find inspiration in Stephen Covey’s call to recognize our individual worth and use our Stout Action Plan to find the potential in your differences. 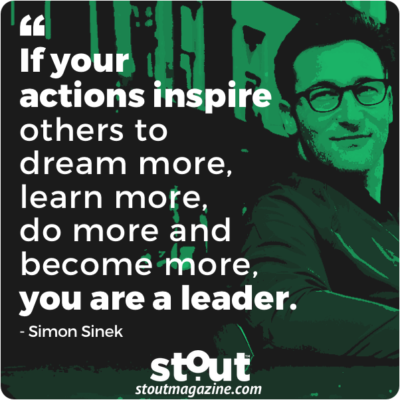 Use Simon Sinek’s inspiring call to find your “why?” and our Stout Action Plan to level up and lead by example. 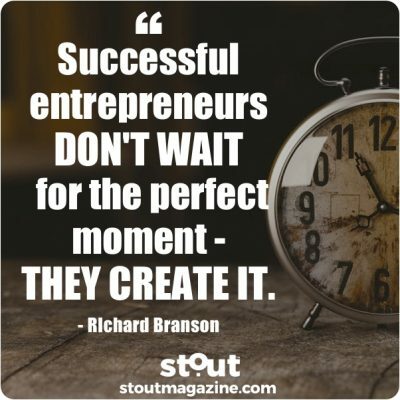 Get your week moving with inspiration from Richard Branson and a #Stout Action Plan with skills from his toolkit for successful entrepreneurs. 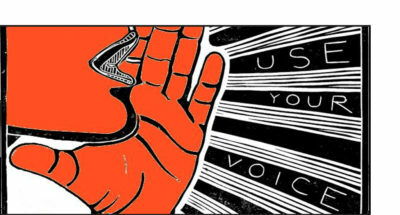 Wake Up Your Voice – Shout! 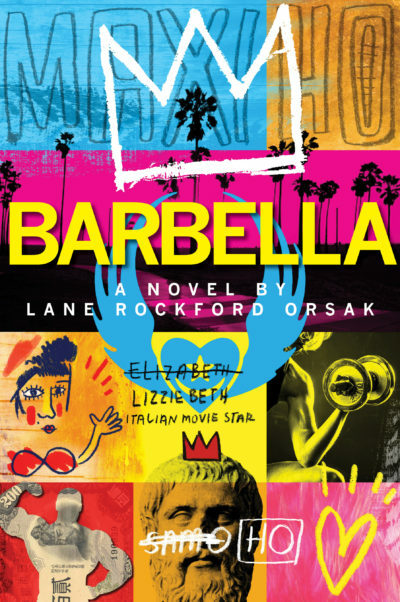 A little bit louder now! 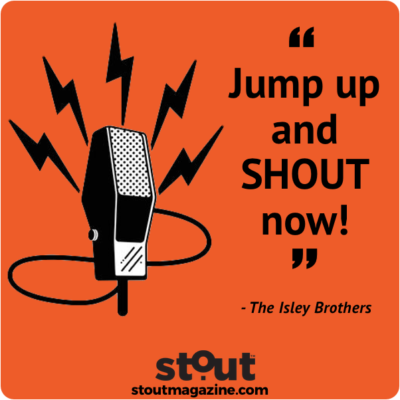 We close out our Stout month of focus on using your voice with a call to find your voice and SHOUT along with the Isley Brothers classic! 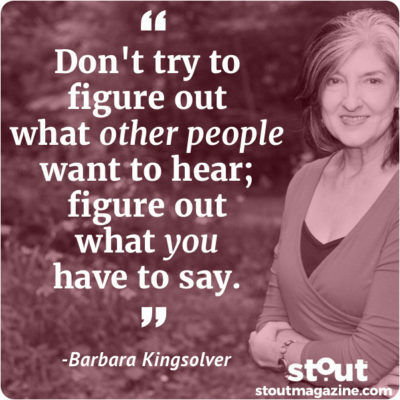 By taking a close look at your own language, and how to react to the language of others, you can empower and improve your life. 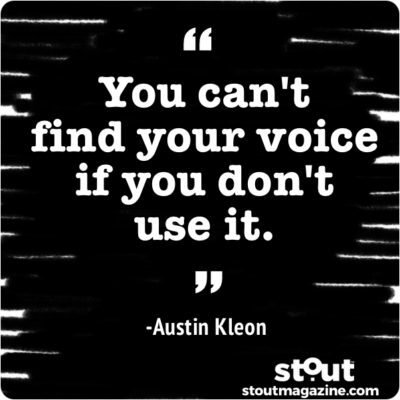 Musical Engagement = Life Satisfaction, So Raise your voice! 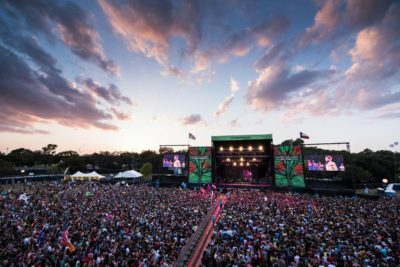 Crowdsurfing good for your health? 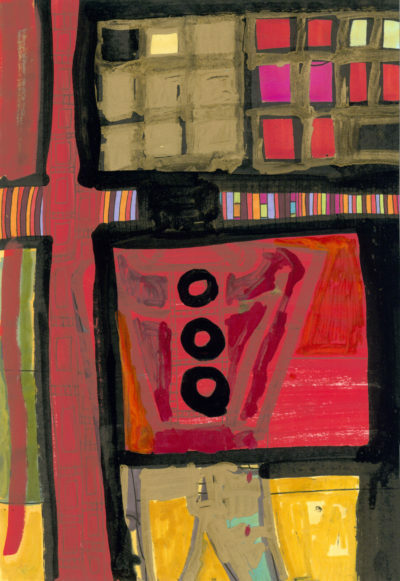 Researchers that those who attended any sort of communal musical experience report higher levels of life satisfaction. 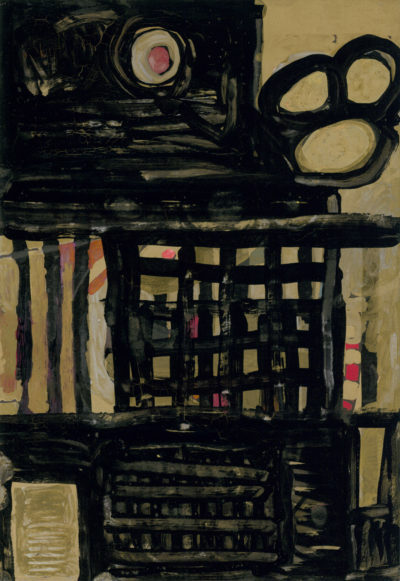 Easy to follow takeaways from Austin Kleon and Billy Collins that will help you develop and use you own voice by looking outside yourself. 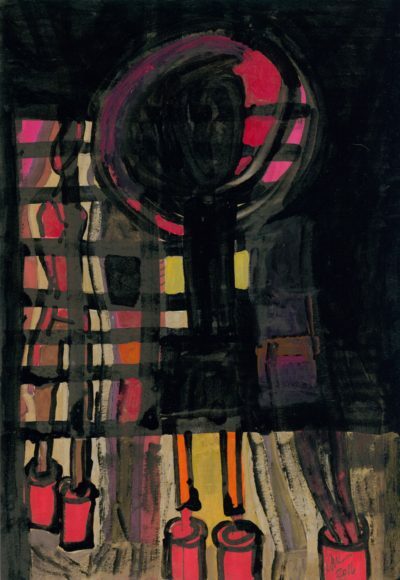 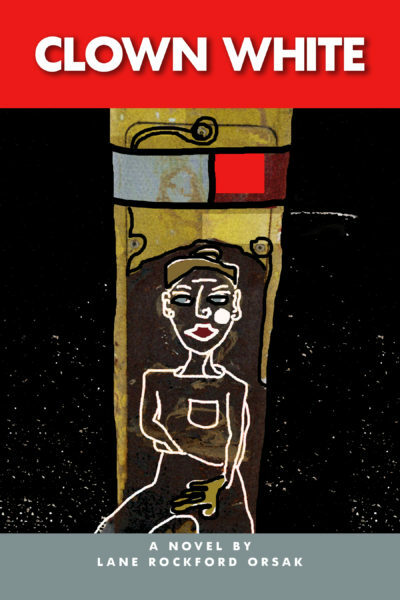 Author and artist Lane Orsak talks about finding his voice, and how one’s “own voice” is often most audible while in pain, or peace. 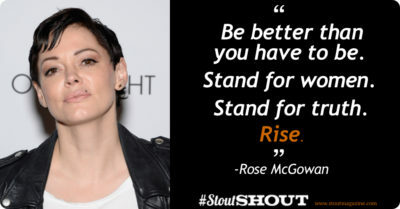 StoutSHOUT to Rose McGowan for using her voice to #SpeakStout against harassment and to challenge her industry to do better. 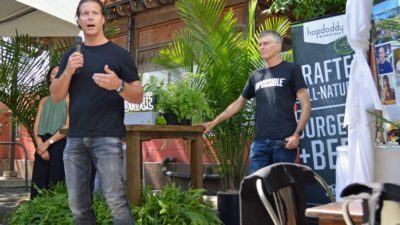 Find your voice and use it – Hopdoddy Burger Bar CEO Jeff Chandler shares his secrets with Stout about the power of speaking up. 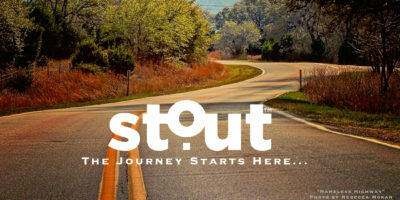 We’re honored to have profiled so many #Stout standouts in our first year. 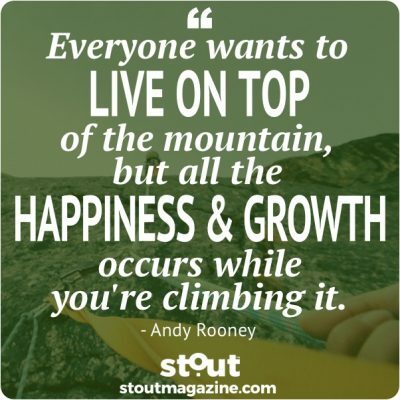 Join us as we celebrate the stoutest from 2017. 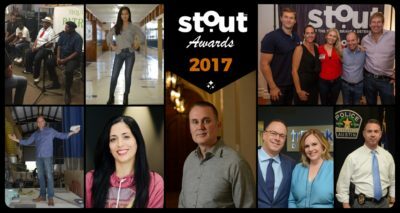 Our STOUT 2017 Award Winners. Thank you for traveling with us as we honored those BOLD, BRAVE, and DETERMINED in their personal and professional journeys. 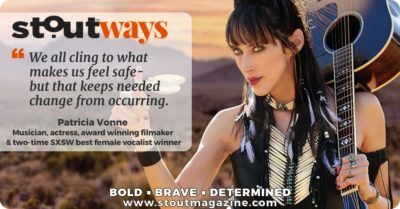 Check out our #Stout review of our inaugural year and stay tuned for what’s next for 2018! 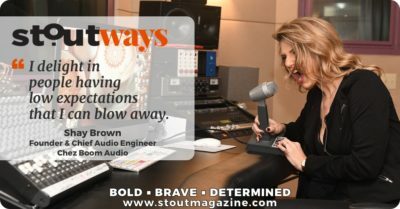 Check out how studio soundmaster Shay Brown has mixed up success with her own studio, Chez Boom Audio.